Officials in one of B.C. 's most exclusive communities have been able to make hundreds of homes affordable to middle-income earners with a strategy other communities might emulate. Officials in one of B.C.’s most exclusive resort towns have found a way to make some housing more affordable for middle-income residents — a strategy that other communities are studying as a possible way to ease the home-ownership price crunch. As reporter Lisa Johnson tell us in the third of our CBC News series in partnership with The Tyee, "Priced Out", hundreds of homes in Whistler, B.C., have been restricted to local ownership and also restricted in price. Chris Hodkinson owns a two-bedroom townhouse just steps away from Blackcomb Mountain, the kind of residence avid skiers anywhere in the world would be happy to own and could expect to pay top-dollar for. It’s a home that would have been nearly impossible for him to afford if he'd had to pay market rates. "The ownership structure allows us to continue living and prospering in Whistler, not just surviving in Whistler," Hodkinson said. Hodkinson owns one of nearly 900 units in a unique program run by the Whistler Housing Authority. They range in size from studio condos to duplexes and single family homes. Would-be owners have to be employed in Whistler to buy one. Prices are allowed to increase only a certain amount per year, with the price of most units are tied the consumer price index, currently at about 2.5 per cent. The bottom line: the two-bedroom townhouse that could be worth about $500,000 is sold for half that. It's a strategy that's allowed local employees with moderate incomes to buy in, but they also don’t get cash in by capitalizing on real market values when it comes to selling their homes. Homes that might cost $500,000 have been bought for half that using Whistler's method. "We live in a desirable place to live, whether it's in Vancouver or Whistler," said Marla Zucht, General Manager of the housing authority. "We really felt it necessary to cap the resale prices and limit that speculation because we just feel you can't build yourself out of the problem." The program, launched 15 years ago, has been funded by contributions from commercial developers. Hodkinson said it used to be that locals who wanted to own would look to nearby lower-profile and lower-market communities like Pemberton. There are tradeoffs, such as foregoing the chance of striking it rich in real estate. 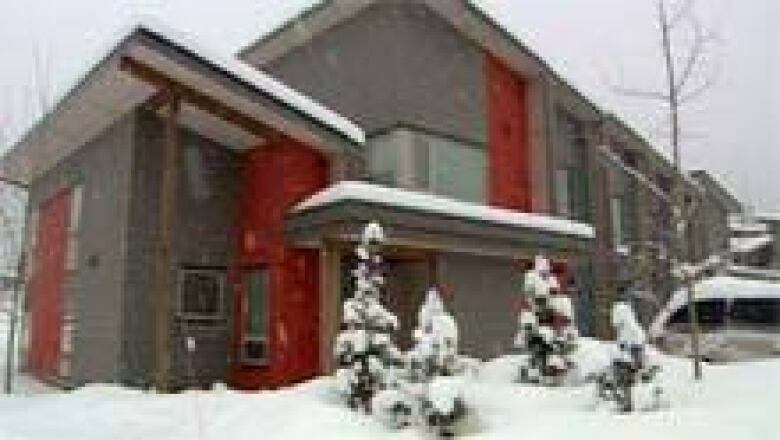 But they make other investments and still get a home in Whistler, surrounded by families who live and work there. "It's crucial. It makes a neighbourhood a neighbourhood, it makes a town a town," said Hodkinson. Could the Whistler model work in Vancouver? One is a mountain resort, the other a big city, but both share the problem of average incomes have not kept up with the price of homes. Vancouver has put together a task force to look for solutions. "We'll take the best of every component, whether it is the Whistler model or others that occur around the country and, frankly, around the world that we may be able to apply here," said Raymond Louie, Vancouver City Councillor and task force member.